LAHORE: The Pakistan Tehreek-e-Insaf spokesperson, Shireen Mazari, has accepted the apology tendered by MQM chief Altaf Hussain. Talking exclusively to 92 News, Mazari termed MQM chief Altaf Hussain’s apology a good gesture. However, she condemned the statements issued by MQM office-bearers. She dispelled the rumor about Imran Khan’s visit to Karachi. She confirmed that Imran will visit Sukkur and Shikarpur. She warned that the PTI will protest against the MQM remarks about the party chief. She termed MQM’s legal notice to party chairman Imran Khan as a joke. The MQM is trying to divert public attention from the report on the Baldia Town tragedy, she said. She added that PTI and its leadership has the courage to raise voice against the MQM. 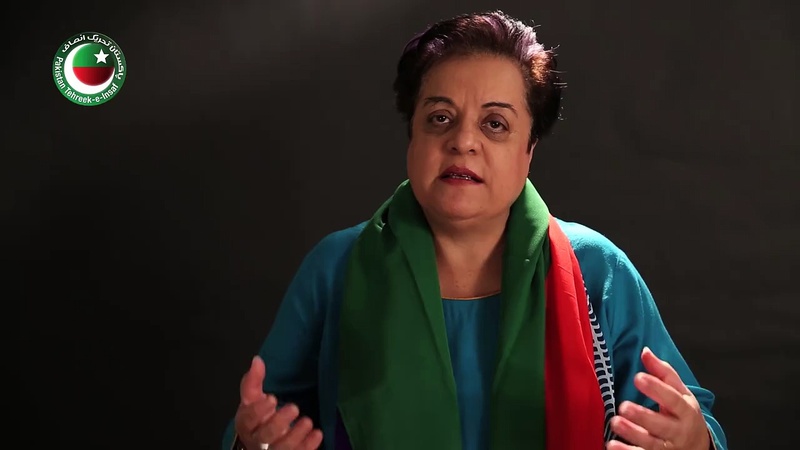 Mazari said that the PTI will not be part of a forum where the MQM will be present. Rejecting the MQM’s legal notice, PTI spokesperson resolved that the party chairman is firm on his stance against Altaf Hussain.